I'm Not Skinny: A little bit of shred progress. A little bit of shred progress. I've been doing a decent job of staying on track with my weigh loss goals. Clearly I'm not the kind of person who expects to be a whole new person just a few weeks later, so I'm happy with my progress right now. I did have two trips so far, one where many donuts were eaten. Thankfully I enjoy a good workout so I knocked off those extra calories this time, but it's certainly something I need to pay more attention to if I don't want to derail my progress. Day 1, week 2 and today. I can see some general smoothing out. My hips have slimmed down as well. I'm also feeling a bit more get up and go. The energy improvement has been great for squeezing in a few extra squats and a lunges here and there. Working from home makes it easy to get lethargic and I'm just trying to take little workout breaks, through the day, before I do my shred. Side by side of day 1 and today. I'm seeing some progress it feels good. Now I've just got to keep it up. I'm hoping for overall improvement. I don't need to be skinny I just don't want to weigh 194 pounds anymore and I want to feel healthy. I don't think people succeed in long term weight loss when they are just doing it to look nice. What do you think? Can you see the progress? Outside views are always helpful. Looking good! Keep up the good work! I bet you feel more energized! Wow, you are lookin' good!! Keep up the good work! 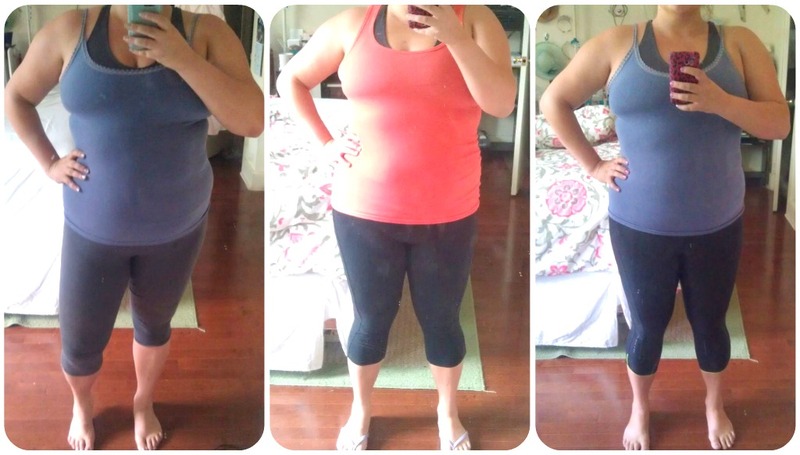 I do see the progress, especially around your hips and waist! I also think you are right. People who do it just to look good, it may not last as long as though who want it for their overall health! I can definitely see progress! Good for you! I am so bad at dieting and exercising, but I am trying to improve. 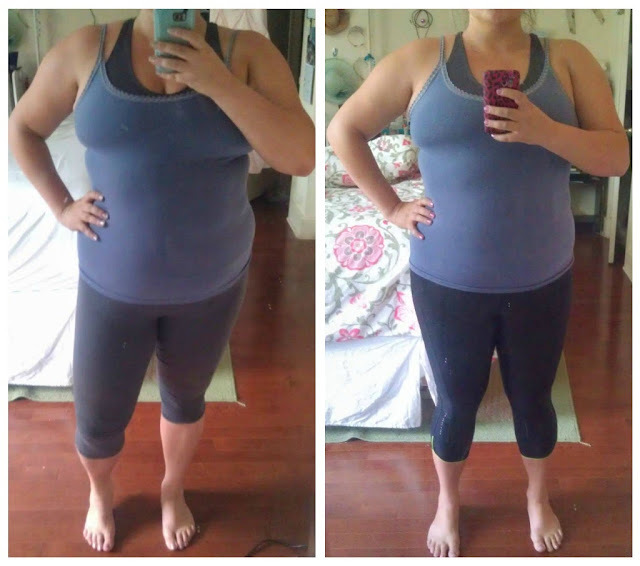 I can see the difference, I just started on a new program and have lost 3 pounds. Wishing you luck and success. Great job. Much luck to you as well. I can really tell a difference on your hips. You had the slightest love handle there before that is not visible now. You go!